We’d love your help. Let us know what’s wrong with this preview of A Glorious Canvas by Jaye Mansbridge. Imagine if every time you gazed at a rainbow you were reminded of a promise - a promise spoken into your mother's womb and delivered into this world infused with beauty. Imagine seeing an archer holding this amazing bow steady, aiming 'glory' arrows positioned straight for your heart. Arrows, which on impact, have the power to set your life alive and on fire with the Glory Imagine if every time you gazed at a rainbow you were reminded of a promise - a promise spoken into your mother's womb and delivered into this world infused with beauty. Imagine seeing an archer holding this amazing bow steady, aiming 'glory' arrows positioned straight for your heart. Arrows, which on impact, have the power to set your life alive and on fire with the Glory of God. 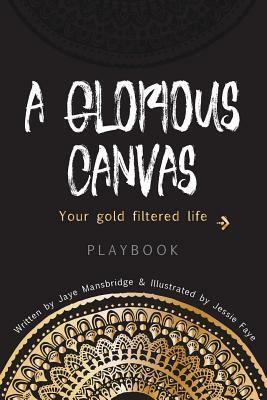 To ask other readers questions about A Glorious Canvas, please sign up.